The case dates back to 2001 when Rajagopal was accused of threatening, abducting and murdering Santhakumar, so he could marry his wife Jeevajothi. 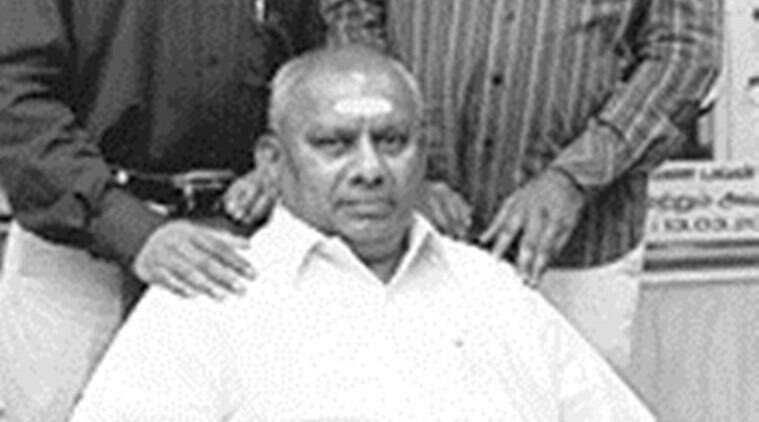 At the time, Rajagopal already had two wives — his second marriage was to a woman who was the wife of a former employee. According to the prosecution, Rajagopal used to financially help Jeevajothi and her family. He started as a “tea maker”. The rise that followed was spectacular: helper in a grocery shop, provision store owner, and owner of Saravana Bhavan, the popular South Indian vegetarian hotel chain. So, too, the fall. On Friday, the Supreme Court upheld the life sentence awarded to P Rajagopal, 72 — and eight others — for the murder 18 years ago of his employee, Prince Santhakumar, whose wife he had wanted to marry. According to the prosecution, Rajagopal used to financially help Jeevajothi and her family. He spoke to her over the phone frequently, gifted her jewellery and silk sarees, and even paid her medical bills. He frequently interfered in her personal life, too, they said. “Once when she was ill, under the pretext of better treatment as advised by another doctor, Accused No. 1 forcefully shifted her to another hospital, where he advised her not to have sexual relations with her husband and made her undergo a series of tests. Santhakumar was instructed to get himself tested for AIDS and other such diseases, which he refused outright,” the prosecution said. All of this, a senior police officer in Tamil Nadu told The Indian Express, was because of an astrologer’s advice. “Rajagopal believed the words of the astrologer who said that marrying his employee’s daughter would bring him a fortune in life,” the officer said. But Jeevajothi, the daughter of Rajagopal’s former assistant manager Ramasamy, did not agree. Instead, in 1999, she married Santhakumar, a former tuition teacher who had joined the eatery chain. When Rajagopal asked the couple to separate, the prosecution said, they resisted his advances. The two were even abducted by Rajagopal’s gang but they went ahead and filed a case with the local police station on October 1, 2001. Days later, Santhakumar was kidnapped from Chennai and taken to Kodaikanal where he was murdered, case records show. His body was recovered from the Tiger Chola forests, with postmortem reports showing that he had been strangulated. When the case hit the headlines, Rajagopal surrendered on November 23, 2001, and was released on bail. But on July 15, 2003, he was in the dock again, for attempting to bribe Jeevajothi with Rs 6 lakh, intimidating her and assaulting her brother Ramkumar. A trial court in Chennai awarded him 10 years RI after convicting him for culpable homicide not amounting to murder, apart from imposing a fine of Rs 55 lakh, including Rs 50 lakh as compensation to Jeevajothi. In March 2009, a Division Bench of the High Court observed that the trial court had erred in not awarding sentences under Section 302 of the IPC (murder) to Rajagopal and others. The Supreme Court said it relied on the testimony of Jeevajothi and her mother. Describing the evidence submitted in the case as “natural, consistent, cogent and probable”, the bench said it did “not find any reason to disagree with the findings arrived at in that regard by the Trial Court as well as by the High Court”. And with that, the door closed on Rajagopal, who was once hailed as a model employer — paying good salaries, ensuring the education and health of his employees and families, even making sure that they had haircuts every month. Five years ago, in an autobiography titled ‘I set my heart on victory’, Rajagopal described his success story — from the first Saravana Bhavan at K K Nagar in Chennai in 1981 to franchises across the country and abroad, from Singapore to Canada. On Friday, the Supreme Court had the last word.